The Austrian Cultural Forum London promotes cultural contacts between the UK and Austria by organising events and supporting artists and projects in the fields of music, performing arts, visual arts, literature, film and science. The ACF London is the Cultural Section of the Austrian Embassy in London. In 1991 Utrecht University started with a pilot for a Summer School in Women’s Studies, called NOI♀SE: Network Of Interdisciplinary W♀men’s Studies in Europe. Since 1994 NOISE has been a successful yearly event giving students and teachers the opportunity to exchange their knowledge in the field of Gender Studies in an international context. Openvizor is a UK based non-profit arts and cultural organisation fostering collaborations from the ground up, through projects with individual artists, local communities, activists and institutions around the world. Combining practice and research on subjects as wide ranging as urbanism, environmental activism, and heritage, the focus remains on development of and discourse with a wide range of disciplines. To date performing arts, film projects and exhibitions have been realized collaboratively in London, Istanbul, Paris, Kingston, Bogotá, Dhaka, Bamako, Amman, Hong Kong, Gdansk, Cape Town and Ramallah. 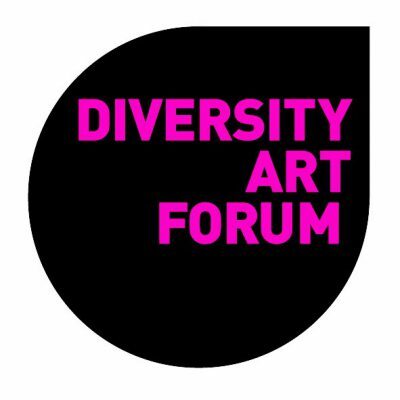 Since 2005 Diversity Art Forum has supported various projects. It was founded by and continues to be directed by Pauline de Souza. The Austrian Cultural Forum Istanbul supports cultural and scientific exchanges between Turkey and Austria through exhibitions, performances, film screenings, conferences and symposia. Bloc Projects (established in 2002) is a not-for-profit creative organisation with educational and charitable aims in the centre of Sheffield. We support artists at key stages in their careers through an acclaimed contemporary exhibitions programme. Our free public programme of talks, heritage projects, workshops and events supports the creative professional development of the local community, promoting diverse creative career pathways and providing generous opportunities for participatory learning, meaningful arts engagement and skill development. Sheffield Institute of Arts Gallery supports the Institute’s research and teaching through showcasing the very best in creative practice. As well as offering a programme of changing exhibitions, ranging from historic graphic design to contemporary fine art, Sheffield Institute of Arts Gallery hosts projects originating within Sheffield Hallam University, bringing touring exhibitions to Sheffield, and offering individuals and organisations the chance to develop proposals in collaboration the gallery. S1 Artspace is a gallery and studio organisation based in Sheffield that actively supports the production and presentation of new work and ideas. It was founded in 1995 by a group of Sheffield based artists seeking to create a sustainable studio environment in Sheffield City Centre. Whitechapel Gallery is a touchstone for contemporary art internationally, plays a central role in London’s cultural landscape and is pivotal to the continued growth of the world’s most vibrant contemporary art quarter. UnionDocs (UNDO) is a non-profit Center for Documentary Art that presents, produces, publishes, and educates. 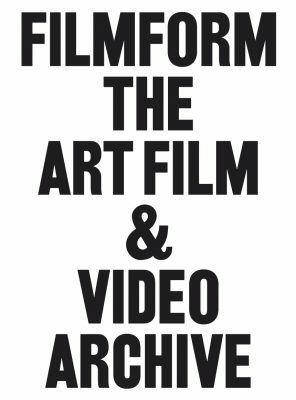 Founded in 1994, apexart is a non-profit arts organization in Lower Manhattan that offers opportunities to independent curators and emerging and established artists, and challenges ideas about art, its practice, and its curation. MARSistanbul is an artist-run gallery that serves as a hub for artists from Turkey and abroad to develop exhibition projects. It is supported by SAHA as part of “Grant for the Sustainability of Independent Art Initiatives”. SALT Beyoğlu is an exhibition and cinema space that form part of SALT’s activities exploring critical issues in visual and material culture. IMT Gallery is a contemporary art gallery based in East London. It was founded by Lindsay Friend in 2005 as IMT, and launched with the first London solo exhibition of work by O Zhang. The gallery exhibits emerging and established artists working across all media, whilst specialising in installation, sound art and multimedia art. Since 2009 the gallery has played host to a series of film screenings in association with Filmarmalade. Angus-Hughes Gallery opened its doors in 2010 as an artist and curator led project space, headed by director William Angus-Hughes. Exhibitions are by invitation to curators, who are offered series of three exhibitions. Annexinema organise social cinema events around the UK. They have created screenings for art organisations and festivals including Nottingham Contemporary, Eastside Projects and The Falmouth Convention. Recently moving into film production alongside curating, they won the inaugural Broadway Film and Video Prize 2012. London and UK wide cinemas.